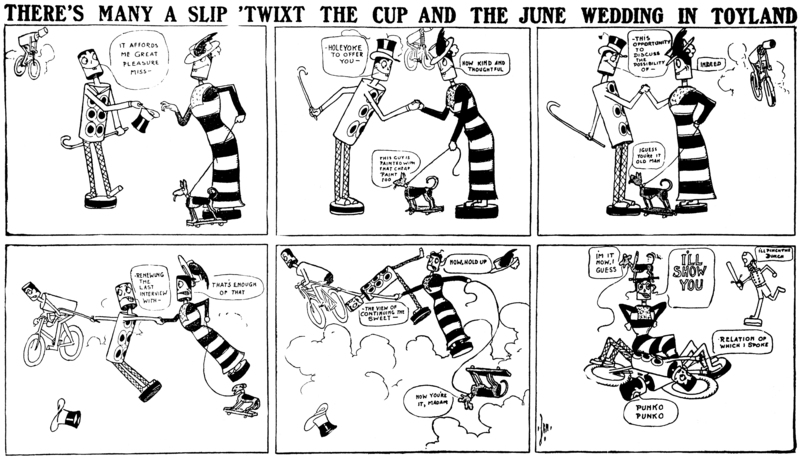 "There's Many a Slip 'Twixt the Cup and the June Wedding in Toyland"
Author of The Runaway in Oz, The Wonder City of Oz, Lucky Bucky in Oz, etc. Originally published in the Philadelphia North American, May 26, 1906. Originally published in the Philadelphia Public Ledger, September 15, 1918. I thought that I should -------! My, how the time does ------- around. And coming through the -------. I surely take the -------! And never give them -------. Three kisses 'fore I stop.